Arsenal face Brentford in their League Cup clash in midweek, but coach Unai Emery is still facing an anxious wait over the fitness of two key players. 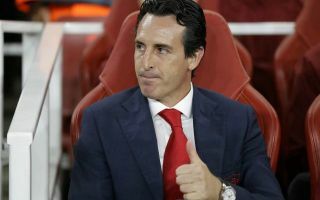 The visitors head to the Emirates on Wednesday night looking to cause an upset, but given the quality and depth at Emery’s disposal, the Spanish tactician will be confident that his side has enough. While he could opt to make changes to rest key individuals and give others an opportunity, with the League Cup traditionally used by Arsenal under Arsene Wenger as a chance to give the club’s youngsters a run out, there are also injury concerns ahead of the encounter. As noted by the club’s official site, both Henrikh Mkhitaryan and Sokratis will face late fitness tests for ankle and leg injuries respectively, with both men crucial to the Gunners so far this season. In turn, they’ll be keen to see them passed fit sooner rather than later as they look to extend their winning streak which now stretches to five in all competitions. From Mkhitaryan’s creativity in the final third to Sokratis offering defensive solidity, they are key men at both ends of the pitch. Meanwhile, the club has also confirmed that Sead Kolasinac and Carl Jenkinson are back in full training which will give Emery options in the full-back positions moving forward. However, Dinos Mavropanos, Ainsley Maitland-Niles and Laurent Koscielny are all still some way off reaching full fitness and so Emery will likely welcome them back into first-team action towards the end of the year with October and November touted as return dates. For now though, all eyes will be on Mkhitaryan and Sokratis, although it would probably be sensible from Arsenal’s perspective to rest the duo in midweek even if passed fit, allowing them to fully recover for Watford on Saturday.